Trying to buy a car with only fair credit? The kind of auto loan fair credit will give you (a score between 630 and 689) will likely come with still-heavy interest rates. Not only that, but if your score sits on the low end of the fair-credit spectrum, the dealer might throw you a rate that’s just plain unfair. 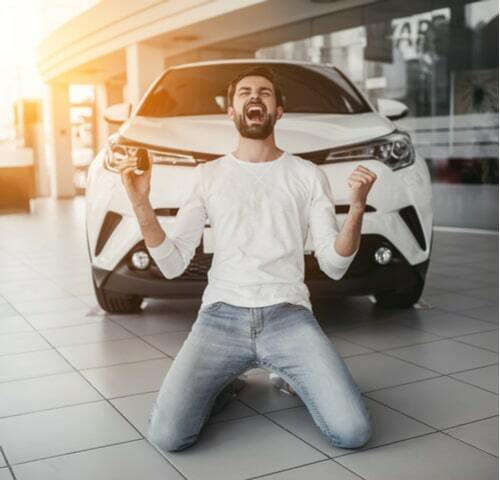 But by following these simple strategies, you can quickly get approved for the rate you deserve while positioning yourself to get the car you want from the dealership. How much can you afford to spend? How much money do you plan on putting into your new ride? Remember, the average auto loan term is 5 or 7 years. How much can you drop on a down payment? The down payment not only secures the loan, but you can qualify for better rates when you put more money down. 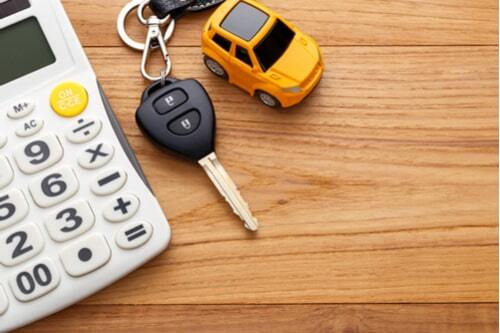 How much monthly car payment does your budget allow? Financial professionals recommend spending between 10 to 15 percent of your take home pay on car expenses. These include your car payment, insurance gas, maintenance, etc. Should buy new or used? Whether you should buy new or used greatly depends on what your financial situation looks like. But there are pros and cons for each. Your credit is a huge factor that all lenders will look at before approving you for loan. A low credit score could result in higher-than-average interest rates or a declined loan request altogether. Before approaching a lender with a request for an auto loan, you’ll want to make sure your loan is on the up and up. Knowing your credit is all too easy nowadays. Apps like Credit Karma and Credit Sesame allow to check your credit on the fly right from your phone, and even provide access to your full credit report from the major credit bureaus. These apps are free to use and can keep you up-to-date on your score without lowering it. Checking your credit is one thing but checking your full report can help you improve your credit by checking for mistakes or unreported accounts, too. 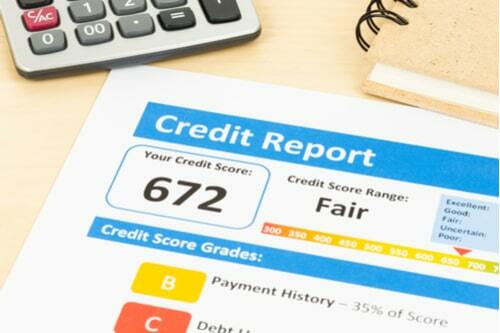 An account in good standing that’s not showing up on your credit report could be preventing your score from going up where it’s supposed to be. These errors can be reported and removed, which may lead to an improved score sooner than you thought possible. Instead of relying on the dealership to help you find a loan, it’s generally better to try your hand at a Pre-Approved auto loan online or at your bank. Doing this will dramatically cut time out of the dealership process, simplifying your car-buying experience. It’ll also make the negotiating process a lot easier too. As a plus, you can use your pre-approved loan as leverage to get a better rate from the dealership. You don’t want to bite off more than you can chew, which is why an auto loan calculator is so handy. Use it to compare offers and see what your monthly payment will look like before signing the loan agreement. If you have any doubts about the offers you qualify for, you could make it a point to lay down a larger down payment. Putting down twenty percent of the car’s selling price will greatly increase your chances of getting a lower rate. Ideally, auto loans should be paid off as quickly as possible. The reason for this is because as your car ages, the value goes down. Not only that, but the longer it takes you to pay off your car, the more likely you’ll need to pay for age-related repairs alongside your monthly car payment. Even worse, you may eventually have more to pay off than the car is currently worth, putting you in a negative equity range. With that said, experts recommend a 36-month loan term for used cars or a 60-month term if you’re buying new. Of course, you’ll have to make higher payments each month, but you’ll save money in the long run. Also, when using the auto loan calculator, don’t forget you’ll have to make a little room for sales tax and dealer fees. To be safe, always assume the payments will be 10% more than what the calculator pulls up. If you can afford to hold off on buying a car right now, then it’s best to wait. Use this time to improve your credit score instead. Bringing your credit from ‘fair’ to ‘good’ will put you in a much better position to get a lower rate so you can buy with confidence. However, if you can’t afford to wait, just try to shop for the best offer you can find and consider refinancing your auto loan once your credit is in a better place. Raising your credit will lower financing rates and even help lower insurance costs. You can raise your credit simply by paying your bills on time and paying down any debts that you owe. Also, you can raise your credit even further by reporting any errors you found on your credit report. Simple moves like these can make all the difference when it finally comes to buy your new car. Before heading off to visit your local dealer, learn how to buy a car without haggling and negotiating.